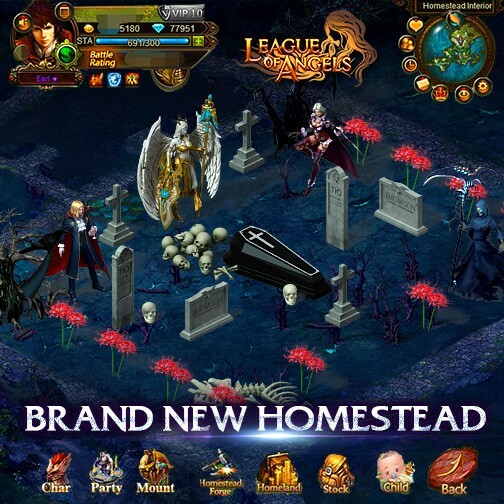 1.Are you brave enough to build a Graveyard-themed Homestead? If yes, welcome to show off here!! 2. If you want to equip your heroes with more amulets, Spirit Melody(Legendary), Wand of Grace(Legendary) and different inscription packs are waiting for you! If you haven't got Flame Rocket, Jade Dragon and Black Panther yet, don't miss them out this time! 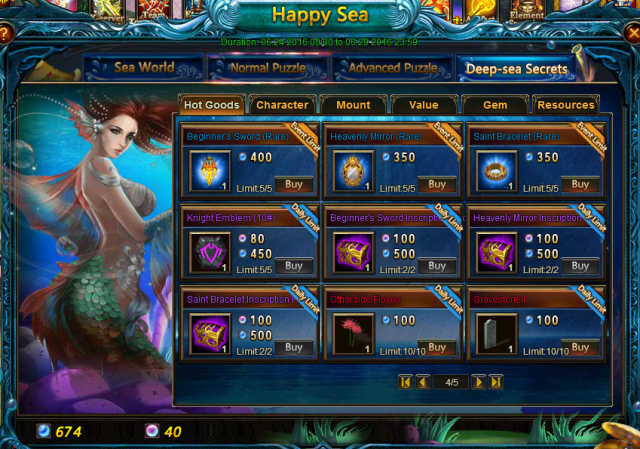 And you can take super armament chests for them! 3.Flip the cards to gain Knight Emblem (10#) and Dark Grail (Legendary)! P.S. : Mountain God, Saintly Queen and more heroes(sylphs) will be waiting for you. 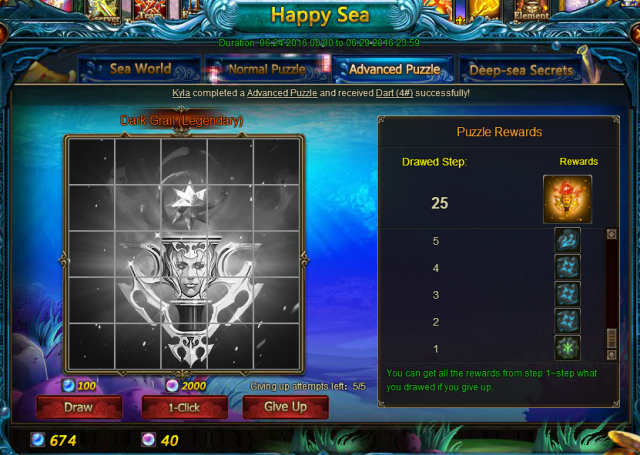 1.Didn't get enough Graveyard-themed components from Happy Sea! No worries! You can gain them through Lucky Tree! 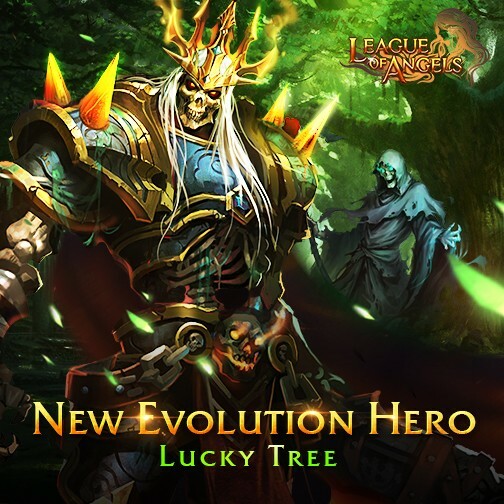 2.Bone King, the evolution of Nether Lord, makes his debut in Lucky Tree! Why not evolve your Nether Lord and strike a deadly blow to the evils? 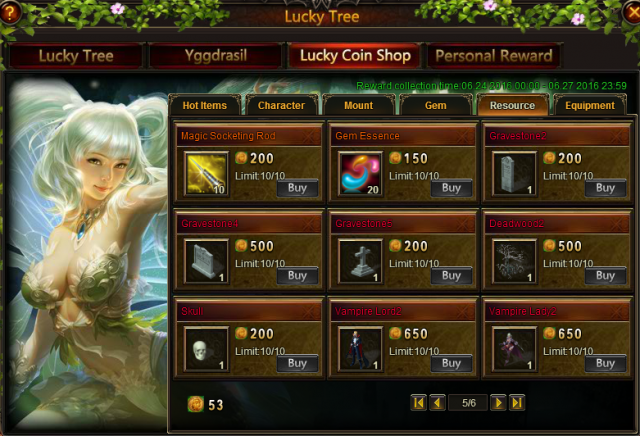 Check out what's more the Lucky Coin Shop. 1.Wand of Grace(Legendary) and Dark Grail Inscription Pack are all available this time! Don't miss the chance to gain Spirit Essence and Source of All Souls to increase your Amulets level and improve their quality. It's a great opportunity to make your heroes stronger! 2.You can go further with a powerfu mount. What about taking Black Panther and Azure Dragon with you? 3. The newly added totem Heavenly Blade is available now! 4. If you didn't awaken Grace in the warming up for the Miidyear Review, seize the chance now! Grace Awakening is available in Lucky Coin Shop. Your personal rewards are based on the points you have got. Take the Soccer Jersey home and cheer for UEFA EURO2016! More exciting events are coming up through June 24 to June. 28 (Server Time), check them out in the in-game Hot Events menu now!